Jesus taught that it is not what we SAY, but what we DO (Matthew 7:21). He says that whatever we DO for the least of these, we DO for Him (Matthew 25:40). I am both excited and encouraged by Graystone’s response to care for orphans. I appreciate EVERYONE committing to open up a BIG can of DO for orphan care. 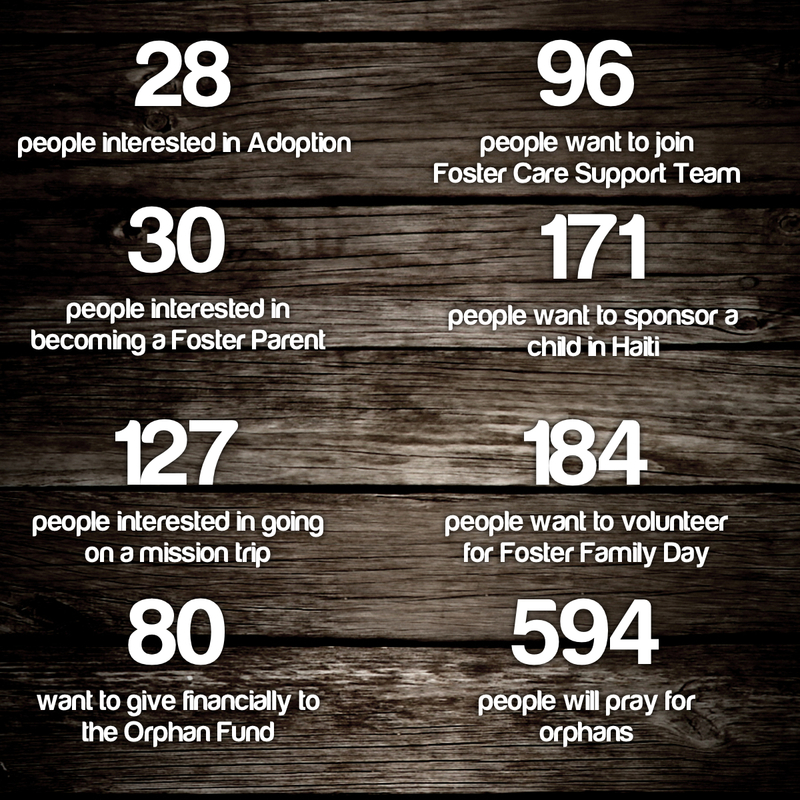 We are on our way to becoming a church known for caring for the least of these, especially orphans. Thank you! This is so exciting!!! So glad to see so much love and support. Makes my heart happy to know love still exists like this in our world today.